You can't live on meat alone, right? Well, some of us do try. But, I do like my veggies and we do try new things with them in the Three Dogs household. 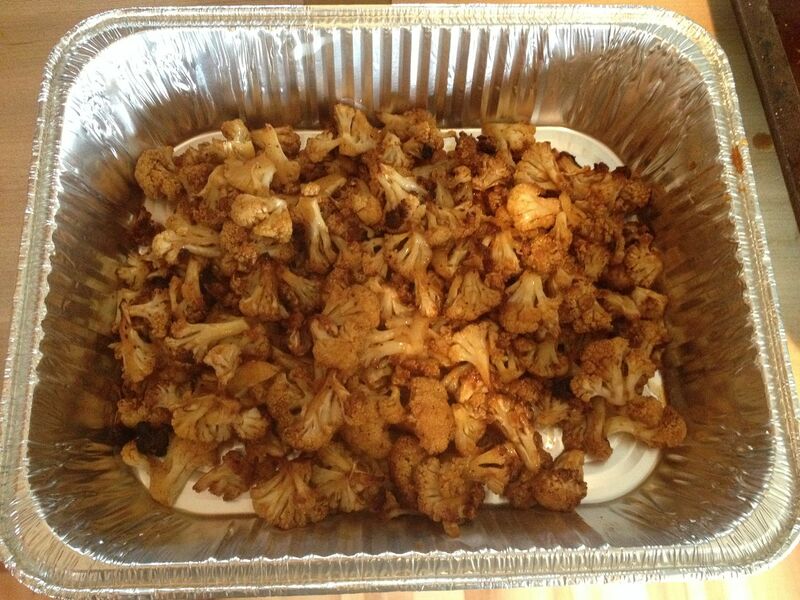 One of our new favorite dishes around here is roasted cauliflower. You basically take a head of cauliflower, separate into individual florets, drizzle with olive oil, salt, and pepper, then roast for 45 minutes at 400 F until brown and crispy. It tastes nothing like the boiled or steamed mush that must be drowned in cheese sauce to make it palatable. I highly suggest to give this dish a try. Last weekend, I was making some pulled pork for a potluck lunch at work and remembered that one of our engineers was a vegetarian. He has never eaten meat in his entire life. Well, except for the bite of a roll last Christmas that he did not know was filled with sausage goodness. But, he spit it out, so it doesn't count. Anyway, I didn't want to leave him out of the BBQ fun. So, I did a little experimentation with the roasted cauliflower concept and was quite happy with the results. First, we separated the head of cauliflower into florets. This was a fairly large head of cauliflower, so I drizzled with four tablespoons of olive oil and two heaping tablespoons of Oakridge BBQ Secret Weapon Pork and Chicken rub. I tossed the florets until all were coated well with the olive oil and rub. Then I spread them evenly on two cookie sheets sprayed with cooking spray. I placed the cookie sheets into a 400 F smoker with some hickory wood and let them roast for 45 minutes, rotating the sheets after 20 minutes of cook time. 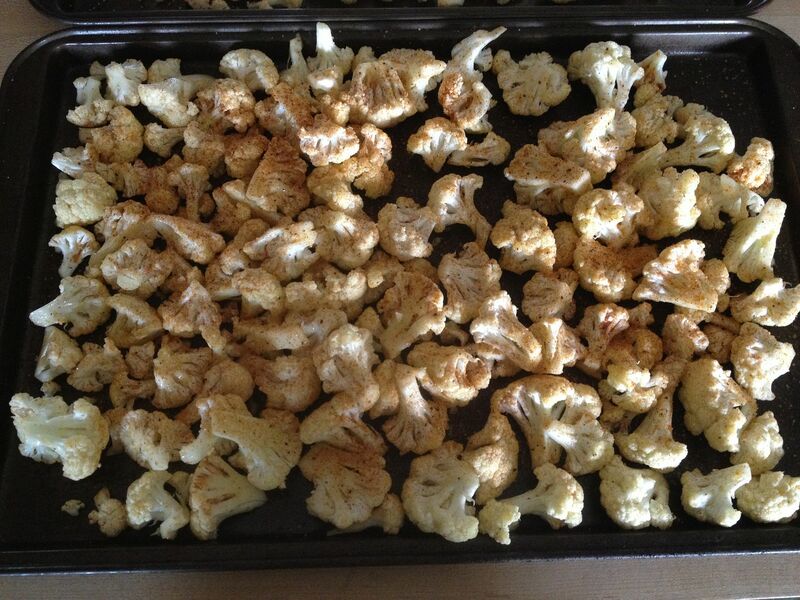 Then, I pulled the cookie sheets out of the smoker and placed the roasted cauliflower into a large mixing bowl. After sampling a few pieces of roasted goodness, I put about 1/4 of a cup of Blues Hog Smokey Mountain BBQ Sauce that had be thinned with about 2 tbsp of Blues Hog Tennessee Red. I mixed thoroughly, then placed the sauced cauliflower back into the smoker for 15 more minutes to set the glaze. Here is the final product. I could have eaten the whole pan before I put the sauce on the roasted cauliflower. Those nutty tasting caramelized bits of cauliflower were crunchy goodness. The BBQ rub, with the spices and sugars, made the taste even better. But, after adding the sauce, while the flavor was still there, there was something missing. The taste was very good. Maybe the issue was that the cauliflower lost some of its crunch after saucing. I was happy with the result. But, if you make this for yourself or the vegetarian in your life, I would recommend putting the cup of sauce on the side for dipping. I know what was missing; bacon. Vegetarians are not allowed in our house. Chilebrown, I know that is not true. I have seen you grill the occasional cauliflower. 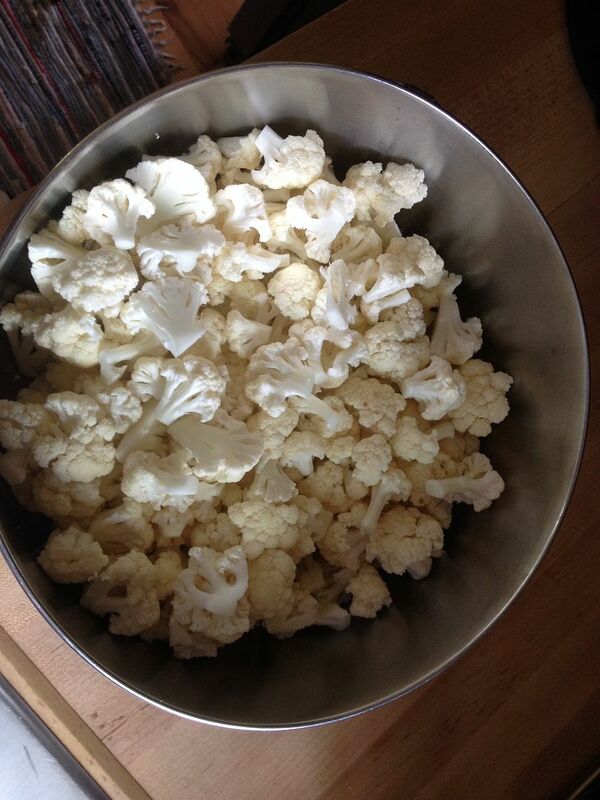 There is absolutely nothing wrong with cauliflower. Your method sounds great. I just have a problem with people that do not like meat. I tend to agree with Chilebrown. Vegetarians in my house are like vampires in a church - just doesn't happen. BUT, I will definitely give the roasted cauliflower a whirl as I do try to keep my veggie fix up and that looks delicious. Oh, I agree. But, I suppose that we do need to get some fiber in our lives.